Form: Small, low-branched with horizontally spreading lines. Often wider than high. 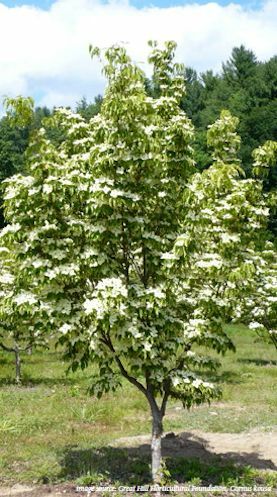 Use: Dogwood should not be planted as a street tree. Effective single specimen or in groupings as understory or Borough gateway tree. Limitations: A number of pests and diseases but many cultivars introduced to combat these issues.